LISTEN. EVALUATE. INDIVIDUALIZE. ADJUST. THRIVE. This is what we do to keep you healthy, happy, and fulfilling the potential you were born with. is keeping you from being your best. and the same is true for any path toward wellness. Because anyone else’s simply wouldn’t do. We’ve learned, practiced, and mastered this. and because we love it. Wellness is important to us. We’re trying to make the world a better place. We are ready to show you how chiropractic care can change your life and your health in incredible ways. Dr. Kari Swain is a family wellness expert who has changed the lives of countless families over the last 20 years by giving them the tools to lead healthier lives. Dr. Swain is the Altoona community’s only Board Certified Pregnancy and Pediatric Specialist. Your body is designed to feel amazing! 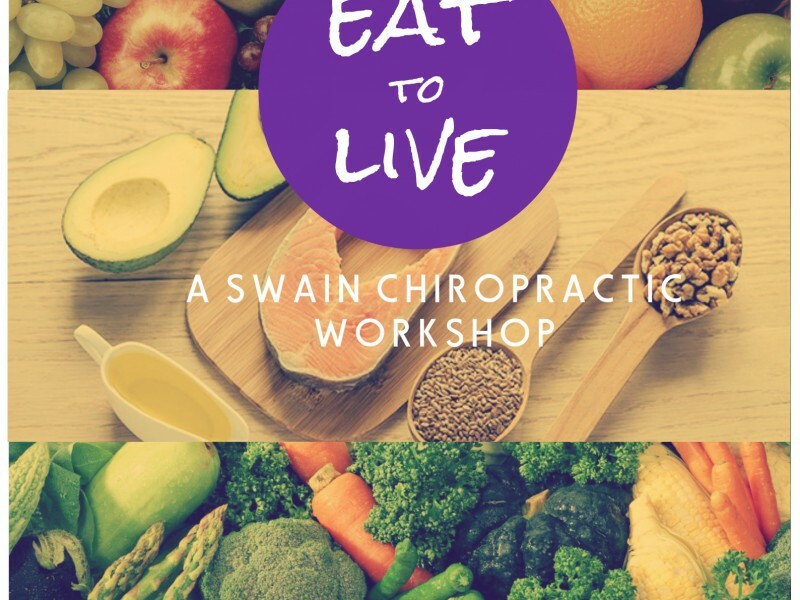 Come learn what foods fuel a healthy lifestyle and how to incorporate changes to live your best life now! Rebalance. Restore. Revitalize. Learn how to heal and improve body function through a detox that is based on whole foods. Benefits have been shown in the following areas: weight, high cholesterol/triglycerides, high blood pressure, headaches/migraines, stress, fatigue, allergies, asthma, skin concerns, mood swings, hormonal and female concerns, arthritis, osteoarthritis, digestion, heartburn, colitis, Irritable Bowel Syndrome, food cravings, trouble sleeping, & more.